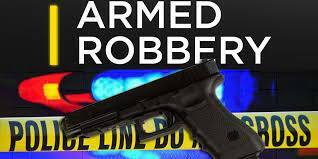 Basseterre, St Kitts, March 24, 2019 – Police are investigating separate incidents of sexual assault and armed robbery on St Kitts. According to a police statement the sexual assault occurred in the Basseterre area on March 23 and the armed robbery in Sandy Point on March 22. “The sexual assault incident took place sometime after 8 p.m. and involved a female teenager. Preliminary reports indicate that the assailant was following the young lady. He forced her to a vacant lot of land where he assaulted her,” the police statement said. A separate statement said the armed robbery occurred in Sandy Point when two men were beaten and robbed in their home. “The incident occurred sometime after 5 p.m. on March 22. It involved Andrew Campbell and Oswill Fraser. They were attacked by two masked gunmen who then fled the scene. Both men were treated for their injuries and discharged,” the police said. Police have made a special appeal to persons who might have any information regarding sexual assault incident to contact the Special Victims Unit (SVU) by dialing 465-2241 ext. 4252. The SVU can also be reached via cell phone at 665-3091 or contact made with the nearest Police Station if you have information that can lead to the apprehension of the perpetrator. Anyone with information regarding the armed robbery in Sandy Point should contact the Sandy Point Police Station at 465-6261.